Driving is fun. We’ll make it awesome. Audio Crew offers Professional Installation Service, we fit all types of in-car entertainment; anything from a basic head units to a full system including in-car screens, TV and DVD players, iPod Car kits, Sat Navs and Audio. Audio Crew carries a wide range of products, including installation kits, accessories, and remote starter and alarm systems specifically designed for your vehicle. If you want to add the latest accessories for more functionality we can integrate Bluetooth®, satellite radio, iPod connections, GPS, and more. 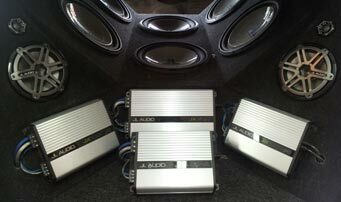 Audio Crew can also repair and re-install it any car audio system, or transfer it from your old car to your new one. All our work is covered by warranty. Audio Crew strives to offer our customers the satisfaction that they deserve. Our Highly trained installation technicians provide a personalised service to suit your needs. Weather it's keep you warm in the winter, cool in the summer or protecting your vehicle we can tailer any system to your needs. Remote Starters aren't a plug and play system, they need to be interfaced with your vehicles electronics and computer systems. Our installers are trained on the latest products and techniques to make the work seamless and safe for your peace of mind. Alarm systems don't just monitor your doors and trunk. They can be interfaced in convertibles to proctect when the top is down, to full glass break, tilt, shock, perimitter and battery backup. We can tailer a system that's right for your needs . You know you love the open water and the wind in your face, but how fun is it with no music...only the rumble of the engine. Audio Crew can help make you the envy of the marina. Anything from a couple speakers and a deck to subs, amplifiers, satallite radio and custom lighting. 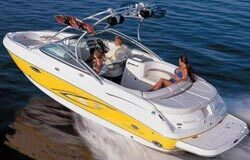 We'll tailer your needs and wants to any boat,any size and make it relaxing day you need or the center of the party.